I'm so glad to hear you had a nice trip to two of my favorite cities Kitty! I would have never thought to take Amtrak from Savannah to Charleston, what a great way to travel, especially for the price and when gas was scarce from the pipeline leak & shortage! Your Charleston cottage looks so quaint & charming too! Kitty, You are a wonderful tour guide. I've never been to Savannah or Charleston, but would love to go someday. Great pictures. Looks like such a fun trip with your friends! You are a world class traveler! This sounds like such a fun trip! And it's so great that you got to share it with friends (and with us)! Looks like such a fun trip! That cottage in Charleston looks adorable. I just love those two most charming southern cities! It has been several years now since we visited but the memories are still fresh in my mind. You have helped bring those to mind with your lovely tour pics! Thank you and so glad you enjoyed your visit! First Hawaii and now travelling with a couple of friends...so nice to see you getting out like this Kitty. I'd love to visit these charming cities some day too and have tea! 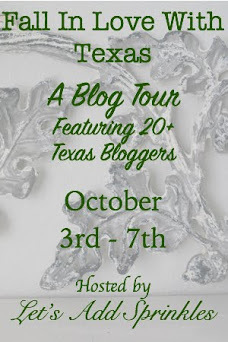 Is your blog on the Texas tour party? Kitty, you have had a fabulous summer with going to Hawaii and now Savannah and Charleston. I have dreamed of going to Charleston ever since reading the Tea Shop Mysteries by Laura Childs. The brick cottage is adorable and it sounds like you had a perfectly lovely time with your friends. I'm so glad! These are memories you will enjoy for years to come. 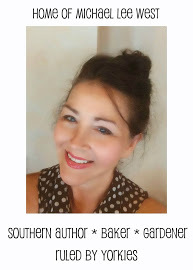 Thank you for sharing with us and also for your sweet comment on my blog. Have a beautiful day, my dear friend. What a fun trip. I would love to travel on Amtrak! I need to find a route that we can take. And this is a beautiful city to spend time in. Hugs! What a lovely trip! I have been to both cities. Beautiful! What a wonderful trip! It's always nice to have friends that you can travel with. I really liked how you organized and labelled the collages. Charleston is on my bucket list so I really enjoyed seeing this beautiful city through your eyes. I've only been to Savannah once, but I was too young to remember much. Clearly, I'll have to go back and re-experience the southern hospitality! Yes, I would love to go to Charleston. Thanks for sharing your trip. What fun things you do, Miss Kitty! You know my daughter and I went to Savannah once for a days and loved it - we ate at Lady and Sons, too - she got the buffet and I got the chicken pot pie. YUM. And to this day I am kicking myself because I didn't realize how close we were to Charleston. I love you took the train to it - for so cheap - wish we had done that, oh well. Next time. I'd love to go back - it's so different from my world here. Kitty, I enjoyed the tour very much! Brought back memories of our visit to Savannah two years ago. That cottage sounds wonderful! It's been a pleasure seeing the sights you experienced, Kitty. Lovely places, lovely photos. It looks as if you have had the best time. Kitty, looks like your trip was wonderful. Two cities to enjoy and experience southern charm at it's best. Looks like the B&B were awesome, not to mention the food. Thanks for sharing your trip, I want to go soon! Sweetest Kitty, what a grand adventure you had! Everything is so beautiful and the food looks amazing :) I am glad you were able to get away for a little bit and enjoy yourself, dear friend. And speaking of getting away, I loved seeing photos of your trip to Hawaii. What a blessed time you must have had with your precious family. What an amazing trip! I have always wanted to visit these two cities. The history, architecture and food really interests me. That's wonderful you were able to take the train between the cities. Seems so convenient. Glad you were able to travel with friends. Travel companions always make the experience so much more memorable. Thanks for sharing all of your great photos! Welcome home! I'm SO glad you got to visit these two cities, the grand old dames of the South! Which one did you like best? I love the place you stayed in Charleston -- Wow!! Hal and I always get the best food in Charleston; it makes me hungry to think about it. ;) It looks like you had a great time, and maybe you'll go back someday. I enjoyed your pictures, Kitty, and thank you for sharing. Have a good week! Kitty, what a wonderful way to tour those two great cities - with good company, enjoying good food and accommodations. I love how you rated your experiences, particularly the culinary. Great recap, both places of which I've visited and thoroughly enjoyed. I'm glad you did too. Oh Kitty how exciting. I haven't been since 4th grade and I remember it. I'd love to go back and see all of these places. I love Charleston. I didn't care for the boiled peanuts either but was entranced by fried green tomatoes and had them every day. It looks like you had a fantastic time. Thanks for the shout out about our blog tour and for linking up to Monday Social. Kitty, I want to travel with y'all. You ate at some wonderful places. Thank you for joining Monday Social and sharing your Savannah photos. Hello Kitty, wow I have never been to Savannah and Charleston and I'd love to visit someday. Thanks for sharing your wonderful trip with us at Cooking and Crafting with J&J. Kitty, how wonderful to step away and visit Savannah and Charleston. You gave us a perfectly lovely tour. Loved seeing the sights and of course you ladies having so much fun. About those candles on my autumn tablescape, they are birch battery candles I bought at Michaels. This seems like a wonderful Southern experience and I must say I really enjoyed our tour with you. Oh Kitty, I am so glad that you had so much fun! I loved Charleston and the food was absolutely amazing. Shrimp and grits, yum! I would love to go to Savannah some day. Thanks for sharing with SYC. Kitty, you are just a jet setter these days!! Savannah is one of my favorite places on earth. Such a beautiful town with more calories than anyone should dare consumer. :) We haven't been to Charleston but it's on the bucket list for sure. Savannah and Charleston are 2 of my very favorite cities Kitty, and isn't it funny how different they are even though they are so close together? You have been traveling up a storm and it sounds like grand fun! Yes, that mirror is unique! Kitty, your trip looks like so much fun and the places that you stayed are gorgeous! I remember that little cottage in The Holiday. So quaint and welcoming! You must be exhausted from your travels. Thank you for sharing with us! I've always wanted to go! Sounds like so much fun! Oh, Kitty, your trip looks like so much fun!! Your photos brought the twin cities to life. Savannah is on my bucket list. have a wonderful weekend, my dear! What a great trip. I always think of Laura Child's tea murder mysterys when I think of Charleston. Even your cemetery photo reminds me of one of the books where she was making scones for the historical society cemetery crawl and a man "falls over dead" while giving a speech. It must of left me with a great impression because I still remember the details. Your bed and breakfast looks really lovely so I am glad you shared your lovely trip! What a lovely place to visit, so much beauty and history. Glad you enjoyed yourself. What a fabulous trip, Kitty! It's been on my bucket list to visit Savannah for a long time. I've been to Charleston a couple of times, but not nearly long enough. I had Afternoon Tea at one of the hotels, and got to visit the Tea Plantation, but it was too hot [July] to do a lot of other sight-seeing. You went at a great time.